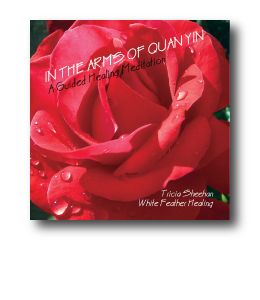 The shop offers you digital downloads of 'guided meditations' and 'Tricia's book' at affordable prices. New downloads will be added to the shop as they become available. Payments can be made with a Credit card or through a Paypal account. No personal information is kept on file. If you have any questions relating to our online shop please contact us. This is the powerful story of the birth and journey of a gifted ‘Visionary’ healer and the development of her gifts and insights along the way. The story spans, from her first breath on the West coast of Ireland, to her unfolding childhood and life on the East coast. What sets this tale alight is the authors ‘Visionary’ gift, which draws the reader directly and vividly into the heart of her journey. Her story belongs to all of us and so as the pages turn we can clearly see images of our own lives revealed. What sets this story apart is the authors ‘Sensitivity’ to the people and events that have shaped her life, along with the development of her psychic gifts and abilities. Her writing gives the reader an insight into the unseen forces that shape not only her life but the lives of all of us. This is a book written from the heart – it is filled with compassion and understanding and it leaves the reader changed and enriched as the last pages are turned. This book contains the magical ingredients that endure as we follow the river of our dreams. Enjoy this precious journey. 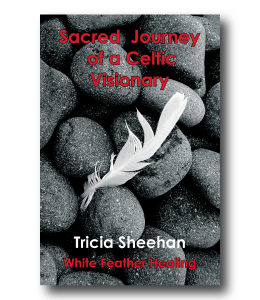 You can listen to a sample reading of this book from Tricia Sheehan on Youtube or on the news page. Quan Yin means - "One Who Sees and Hears the Cry from the Human World", she is recognised as a powerful protector throughout many cultures and traditions. For me she is a Powerful Spiritual Mother who seeks to guide, protect, love and support us, as in these times of recession and huge global change, we need more than ever to feel loved and nurtured. My experience with clients over the years has shown me that we struggle with self-love and compassion, very often finding the inner relationship with ourselves to be one of judgement and criticism. The aim of this guided healing meditation is to promote self-love and to nurture that very personal relationship we share only with ourselves. 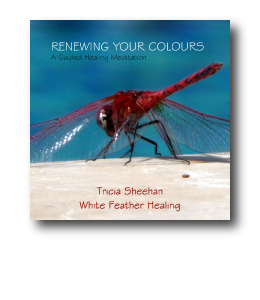 You can listen to a sample meditation from Tricia Sheehan on Youtube or on the news page. 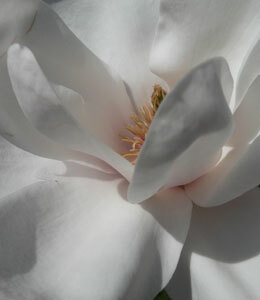 When listening to this meditation it is important to sit or lie, with your eyes closed, in a quiet undisturbed place. Regular meditation can promote deep healing and positive change. As meditation alters your brainwaves do not listen while driving. Our bodies are fed by a ray of white spiritual light or energy, a ray that incorporates all the colours of the spectrum. The sheer effort of life and all of its demands and challenges can create tightness in our cells and organs. We can experience feelings of tiredness, stress, exhaustion, overwhelm and illness as our energy depletes.This Guided Healing Meditation aims to renew, recharge and revitalise your body and mind. 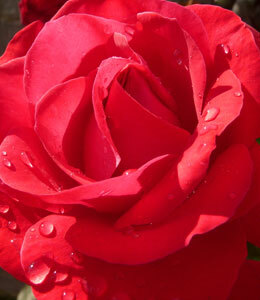 As we open to all the colours of the spectrum each cell within us can breathe again with renewed ease and relaxation.